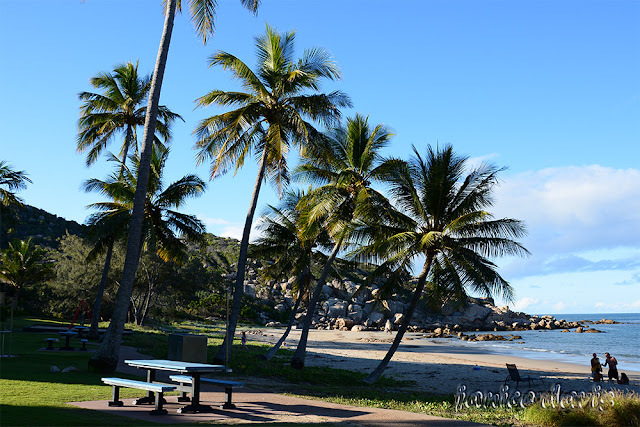 More beaches at Bowen in Queensland. There is a resort to the left of the first palm, but not a private beach however it seems as if one is trespassing because the ground floor doors open up onto the grassed area. We went for a paddle in the water here at another beach. A resort at the same beach below. From another phototaker surrounded by water...just can't get enough of that stuff...huh. Always good to looks at a lovely sea. They are beautiful up there in Bowen. 'Tis a beautiful place with lovely weather whilst we were holidaying there. 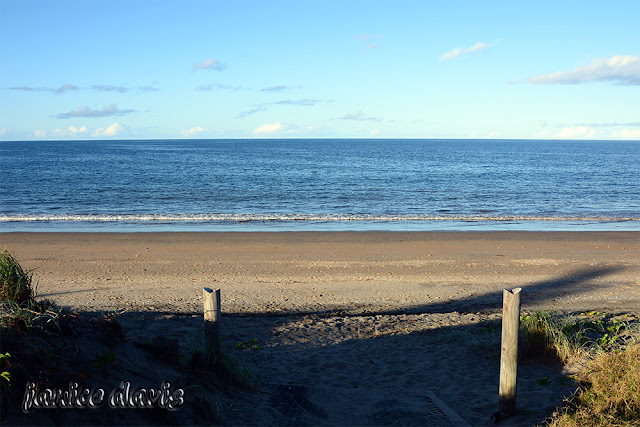 Boa tarde, as belas fotos mostram na perfeição o lndo locar que desfrutou, belo mar a praia. 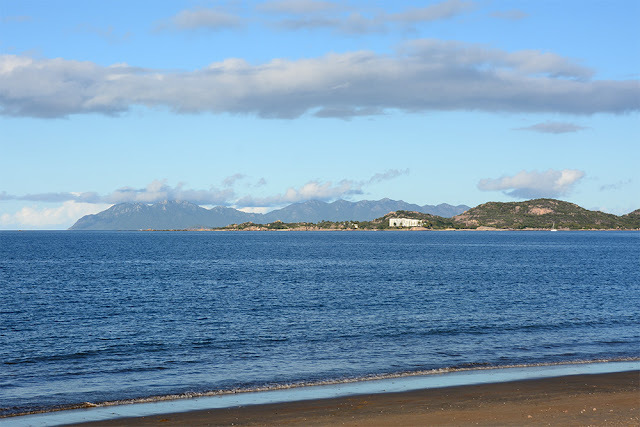 Very good beaches to enjoy, of a pleasant holiday. Thank you, it was a lovely holiday there last year, weather was perfect. Schöner Strand für einen Urlaub. Beautiful indeed for our holiday last year. Beautiful beaches and good weather, what a great combination. Was beautiful weather whilst we were there last year. Looks an idyllic spot in which to stay for a while. It is a lovely place Rosemary, not too hot and not too cold in winter. We extended our stay there last year. Often we stay in places as you describe and it is nice. Some caravan parks and free parks do exactly as you say. The best real estate. It is lovely Jo-Anne, maybe you and Tim can travel to there sometimes in your van. It was when we were there...but of course a cyclone has been through there since. 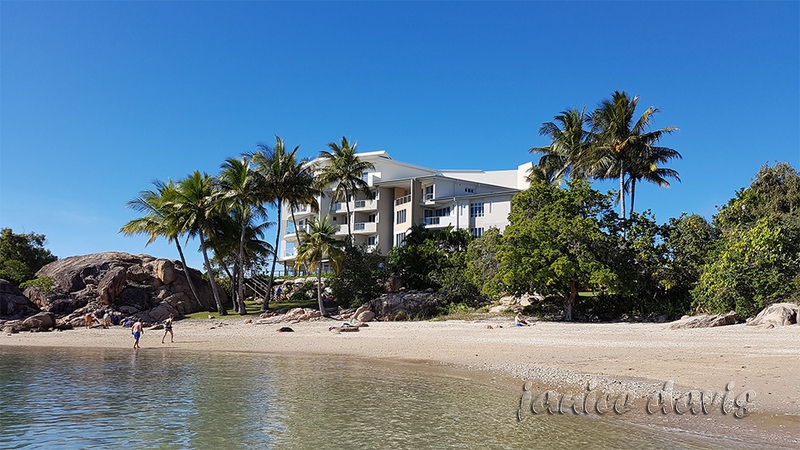 Those first three photos look as if they are of Gray's Bay...where Whitsunday Sands Resort is...the one I managed briefly back in the 90s. The first photo I'm not sure what that beach is called, but it's a different beach to the 2 photos below it. Certainly you have been to some wonderful beach places - good on you. That first pic looks like it could be Murrays Bay...which is further along a road taken off to the right as you head towards Grays Bay and a little further on to Horseshoe Bay. You would know better than I what the bays are called, there are many of them. There was a notorious case here where a beachfront property owner made the public beach seem like a private space and so deterred many using the beach. Oh gosh, have an idea I recall something about that ages ago. Can imagine it would make people uncomfortable if visiting the beach, they wouldn't know if it was permitted to be used or not. I don't know of any 'privately' owned beaches in Australia. Such a lovely place to spend some time. You had me at beaches. Rocks in the water are a bonus. Good to sit on if high enough River. The plam trees are so beautiful. I hope you enjoy the day. We are having thunderstorms today! Oh gosh, trust those storms have passed now. Most of the time it's peaceful but can of course be rough. I do like the beside seaside, a song, lovely photos Margaret. Se respira paz y mucha tranquilidad. Me gustaria estar por ahi, Margaret!!! Very peaceful and not that many people about either. Well not on that day. Such beautiful beaches, love all of these photographs. They do have some wonderful beaches up there. I expect very different from up your way in winter. 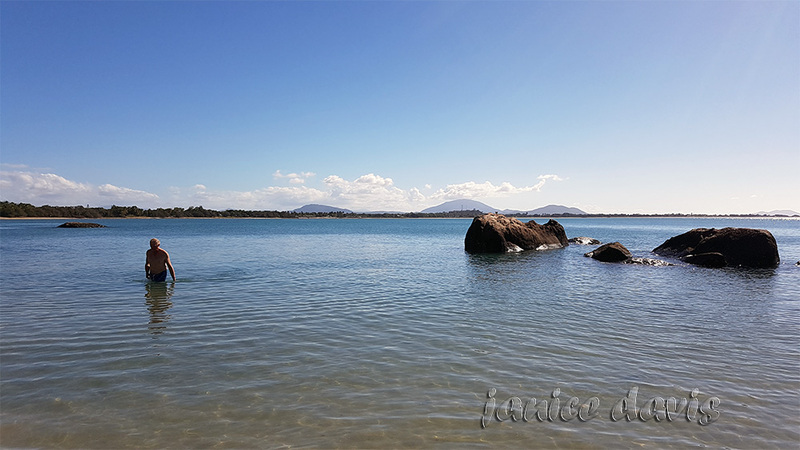 A different look at Mackay, Queensland. The beach called Rose Bay Beach, Queensland.